The traditional habitat of the threatened forest subspecies of the red-tailed black-cockatoo (Calyptorhynchus banksii naso) is in the Jarrah forest of south-western Australia. Since 2000, red-tailed black-cockatoos have occurred increasing frequency in the Perth Metropolitan Area on the Swan Coastal Plain. While it is believed most urban red-tailed black-cockatoos commute daily to the Metropolitan Area, there are several urban populations believed to be resident year round. Urbanisation alters the landscape, causing changes to the availability of resources (e.g. food, water, nests), predation, and the sensory environment (e.g. noise, artificial light). This in turn can lead to behavioral adaptations in animals that reside in urban areas. 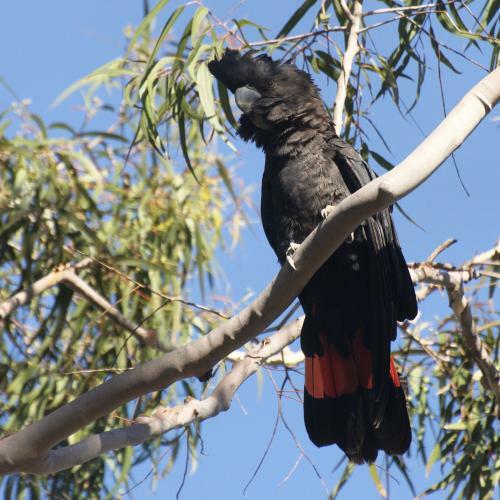 This project will investigate how the forest red-tailed black-cockatoo has adapted to the urban environment. It will focus on the range expansion into urban areas, the use of novel resources such as exotic foods, the modification of anti-predator behaviors, and the urban environment as novel habitat for red-tailed black-cockatoos. This is an important study as it will provide new information about an increasingly common phenomenon worldwide: the adaptation of species to urban environments. While urban areas are often detrimental to wildlife, they can benefit some species. In our rapidly urbanising world it is essential that we understand not only how humans are altering the environment, but how other species are adapting to these changes. 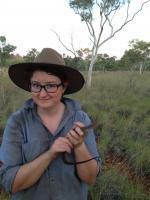 We need to understand how urban areas can contribute to the conservation of native, and even threatened species. This is the first dedicated study of the urban redtail population, the effect of urbanisation on the species, and its adaptations to the urban environment. This is especially important as urban species such as the redtail face the challenge of being perceived as common and abundant, as humans see them more frequently than their non-urban counterparts. While this may be true of some urban species, it is not so for the threatened forest red tailed black cockatoo.